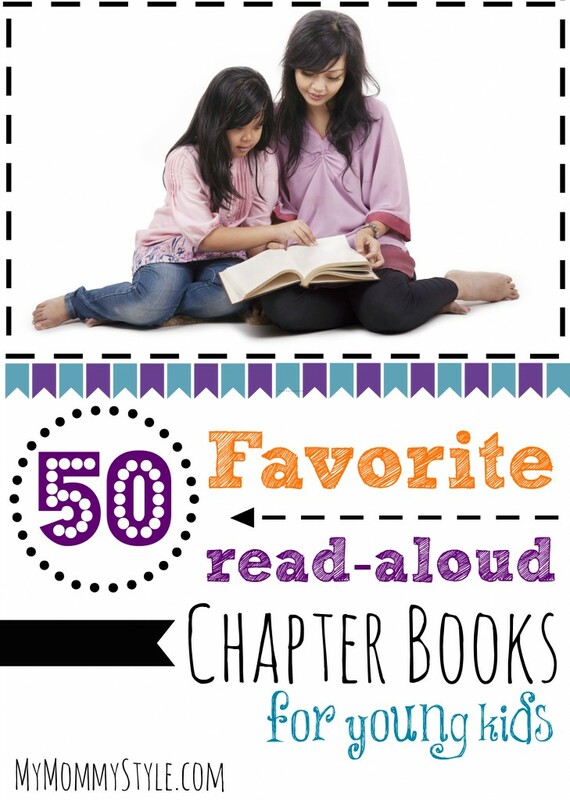 Last month I made a list of the 50 best read-aloud chapter books for kids. The list consisted of books I have already read to my two young boys and some more that we were planning on reading. Check out the post to find out what I have learned while reading books aloud to my kids. I am so pleased because that post is officially my most popular one. I’m pleased because it means that families are excited about reading together and I LOVE that! I had comments flooding in from all over with favorite chapter books that you have read to your children and I HAD to make them into their own special list. Thank you for your comments and keep reading to your kids! They will use their imaginations, broaden their vocabulary, form a love of reading, and go on an adventure all while snuggling and bonding with you. So without further adieu, here is YOUR list of favorite read-aloud chapter books for kids. Thank you so much for helping me out with this awesome list! I can’t wait to start reading these to my kids. Please keep sharing! what other chapter books do you love? What picture books do read over and over because your kids love them so much? What books make you laugh out loud? Lets keep this list going and inspire more reading at home! I am a school librarian and am sharing your wonderful list with my teachers, who frequently ask me for a good book to read aloud. 1. The Cabin Faced West by Jean Fritz. Set in 1784 in the wilderness of western Pennsylvania, ten-year-old Ann Hamilton (Fritz’s great-great grandmother!) is the only girl and is lonesome and homesick for her friends and the comforts of civilization. The story ends with a visit by George Washington who eats supper with them. George Washington really did eat with the Hamilton family. The event is recorded in his diary.